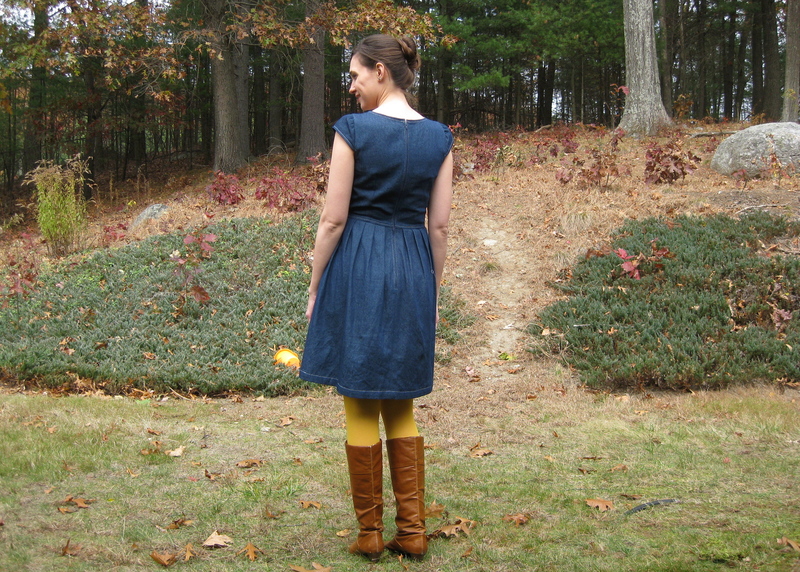 a while back i got the idea in my head that i needed a denim dress. 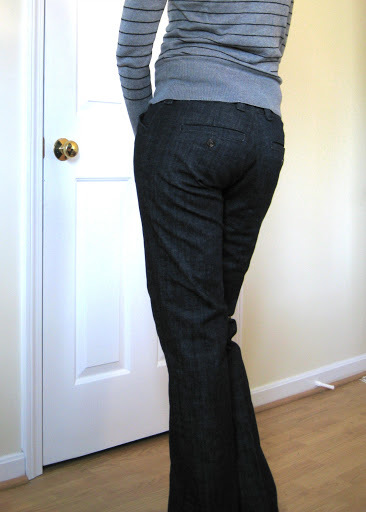 it seemed like a nice casual and potentially versatile garment to have in my wardrobe, so i picked up some denim at sewfisticated. these people always have a table of $2.99/yd denim remnants and i check out that table almost every time i visit. 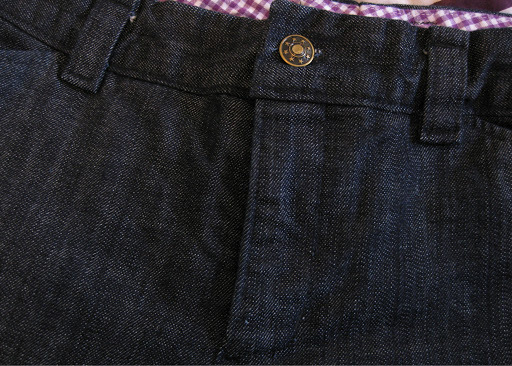 this one is probably around a 6.5 oz denim—lightweight, but still substantial. i planned to revisit mccalls 5927, which i made last year in plaid. my intent with making that dress was to fit a bodice i could go back to as a TNT. upon re-trying on that dress the multiple fit issues were very apparent—shoulder seam needed to move out, the back neck needs darts or re-shaping, etc. i had a pretty long list of changes i didn’t feel like dealing with. instead i went back to the hawthorn bodice, which i had fit recently, and fit well. 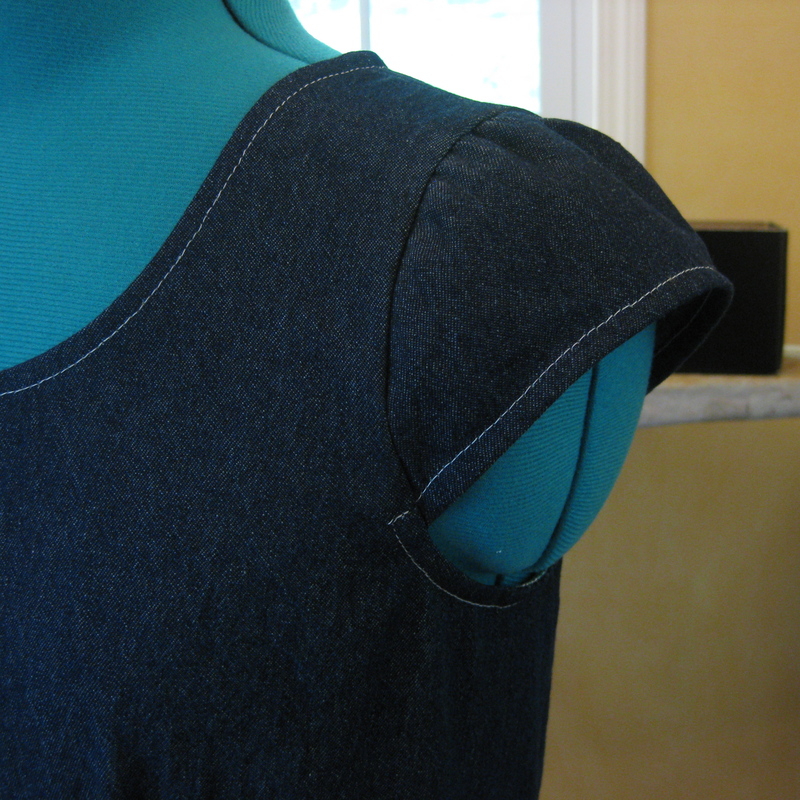 i redrafted bits to eliminate the front button closure, added a back seam for a zipper, and replaced the v-neck with a scooped neckline. then i wanted to have some cap sleeves so it would easily fit under a cardigan or sweater. the sleeves proved quite an ordeal. i went back to the cap sleeve on the mccalls pattern and tried those, but they ended up a little too “strong shouldered” for my tastes. i mulled over it, then just fidgeted with them until i liked what i saw. so i cut off most of the cap with the pleating and just set it in with incidental gathers. obviously, it’s not perfect and there is either too much or too little ease in the cap, but it really doesn’t bother me. overall, the shape is very nice and i’m quite happy with it! 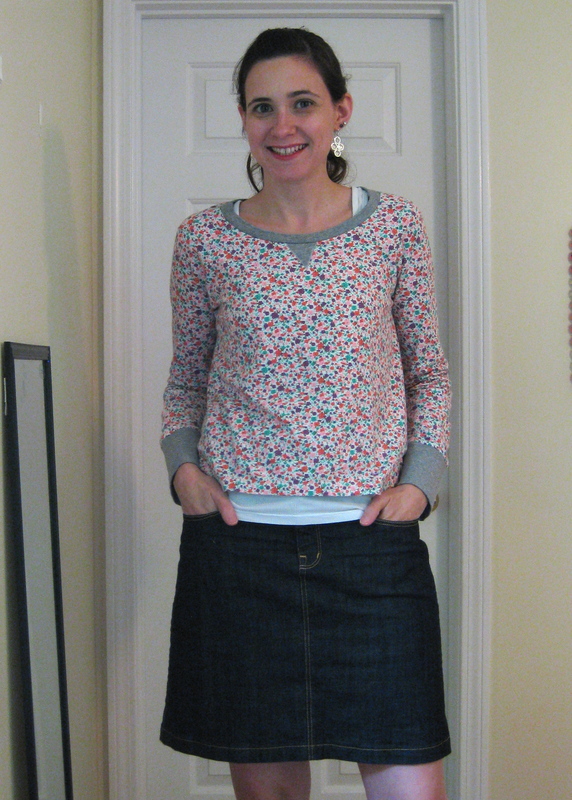 for the skirt, i pulled out NL 6776 (used perviously here and here) because it has a nice a-line shape and doesn’t take up a crap-ton of fabric. i pleated it to my heart’s content… which. took. forever. to get right. love pleats, but geeze they can be annoying. as you can see, i added a little swoop front pocket. inseam pockets are great, but i’m always annoyed about how the pocket bags flop about. i went back to the mccalls pattern as a guide and went from there. 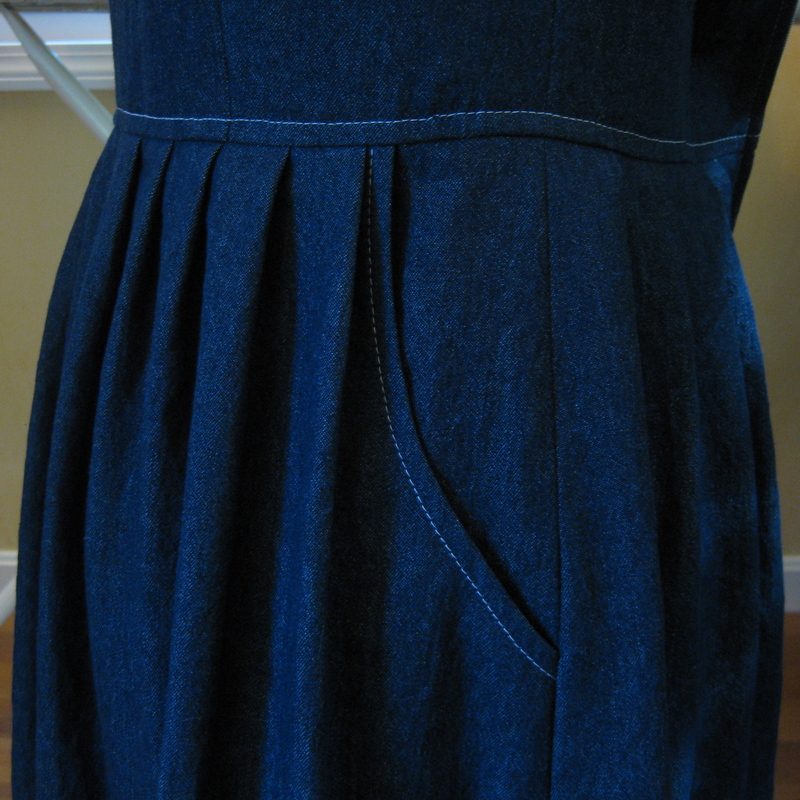 since this is a denim dress, i took the opportunity to topstitch in white. i considered the more traditional gold, but i also like the look of white on denim. i even used white when stitching the zip down the back, and i did a pretty good job of keeping it straight! while i intended to wear a belt with this dress, the topstitching at the waist gives just enough definition that i don’t feel super inclined to bother with one. i had anticipated finding loads of things in my closet to layer with this dress, but came up pretty much empty-handed. that’s the problem with an at-waist dress: all my sweaters hit at my high hip, which looks terrible! 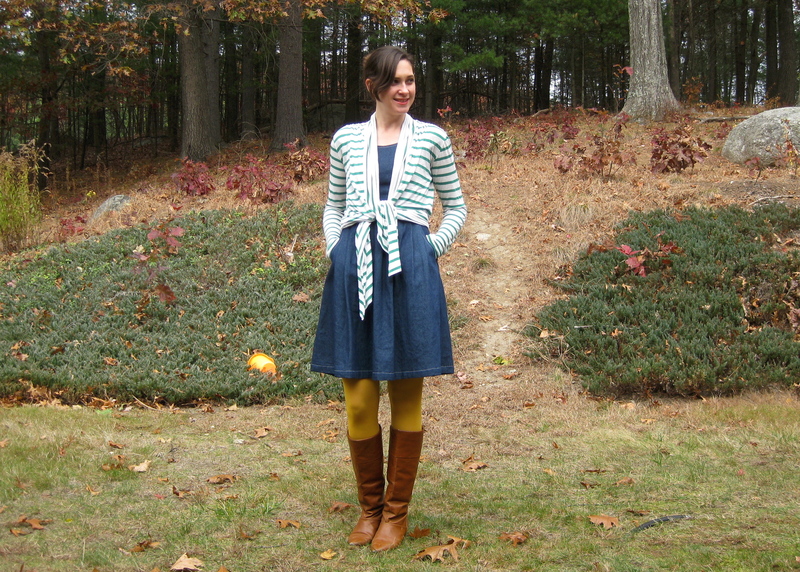 then i grabbed this cardigan i made a year and a half ago (jalie 2919, unblogged but much loved! p.s. 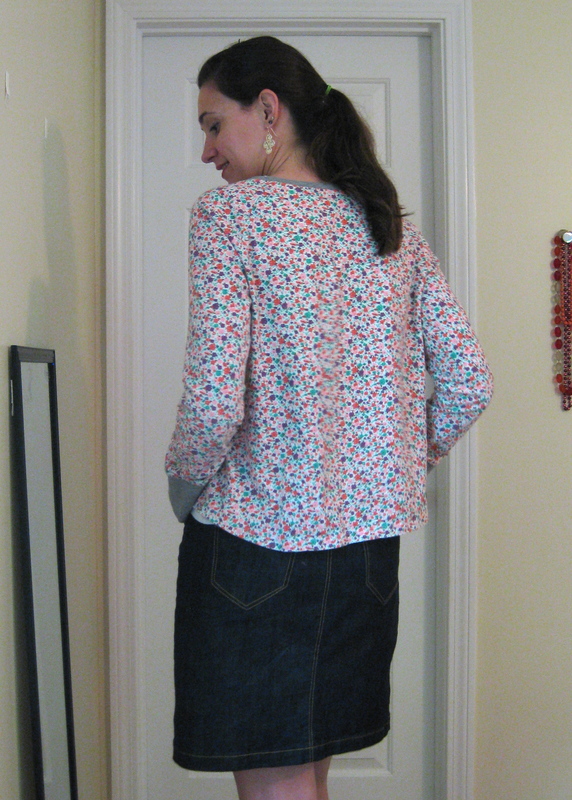 i nixed the ridiculous stitched pleats for gathers at the shoulder). it’s very very long, so i frequently just tie it around my waist. 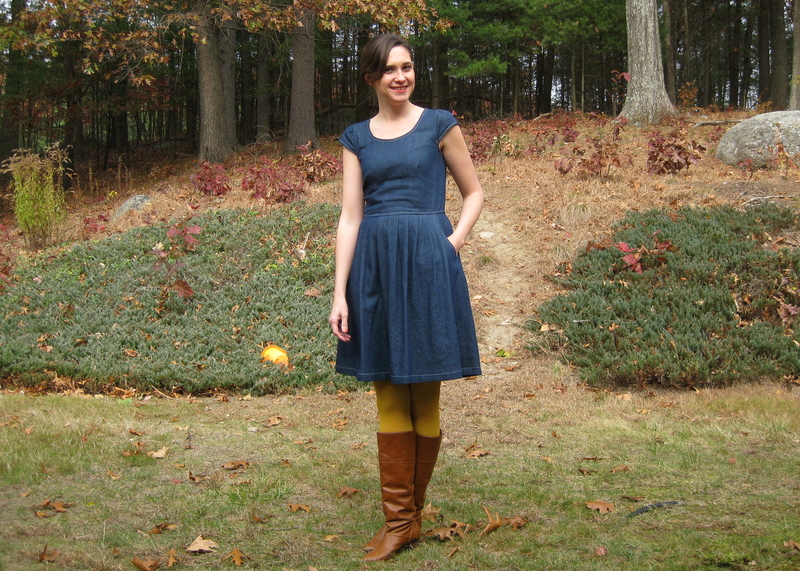 it works okay, but now i think i need a few papercut coppelia wraps in my closet to pair with this dress for the colder months. i hope you followed my merry adventures through all those patterns to get to this dress… i thought it was apropos to publish a real frankenpattern mash up on halloween, so happy halloween all! for months i’ve wanted to make some thurlow pants, and i finally got around to it! i went with a denim because i found some for a great price. basically (not including the pattern) these pants cost me less than $10. that’s a definite win in my book! i measure a straight size 6, but when i used this pattern before i went with a size 4. there is still plenty of room for these to be comfortable, in fact i’ve already spent two full days wearing them. i love this type of pant because i can look nice without being dressed up. then posting it on the internet… but whatevs. any changes i made are subtle. 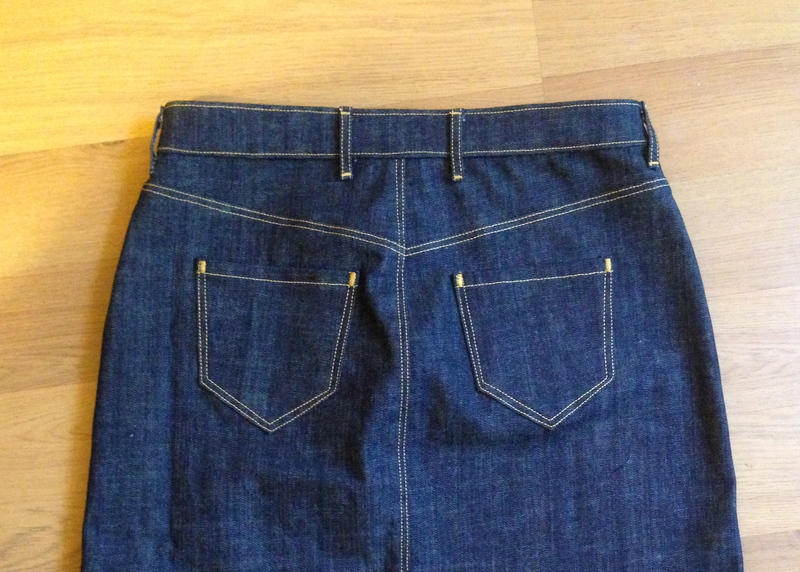 i changed the order of construction slightly, using the method i learned from the jalie jeans pattern. 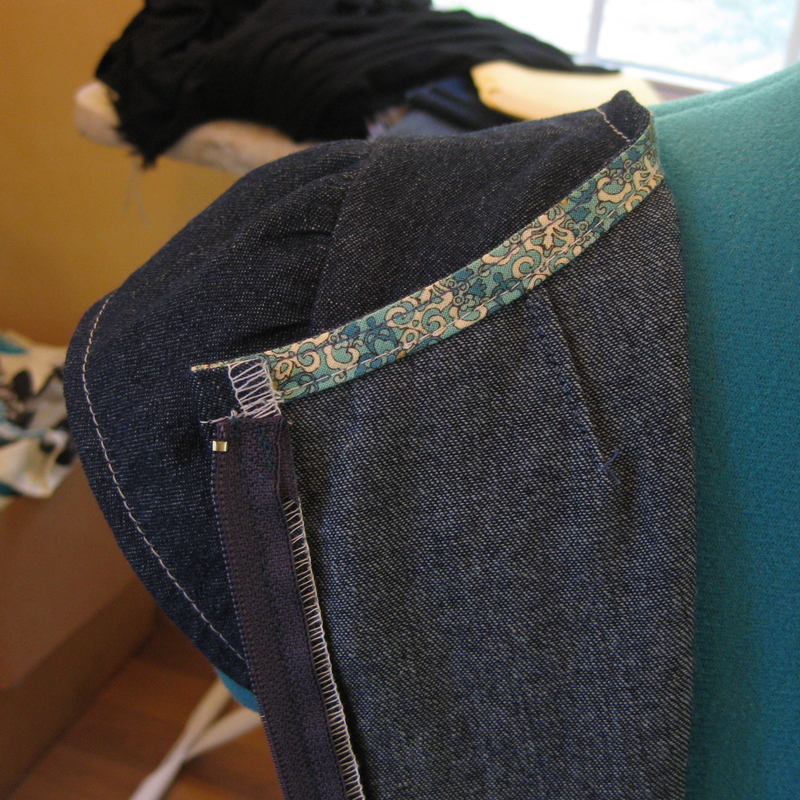 it allows you to construct the fly without having the back of the pants attached yet. once the fly is constructed, and the back pieces are sewn together, you sew front to back by sewing the entire inseam and then the side seams. i really like this for a few reasons. 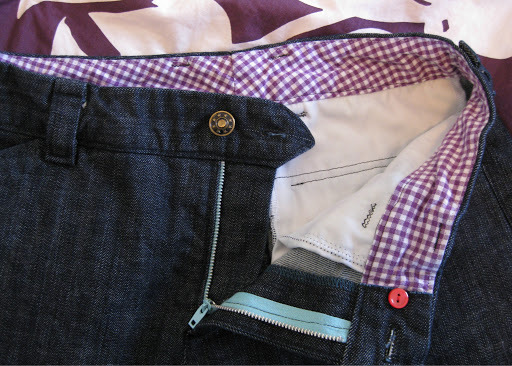 first, you can topstitch the crotch flat, you can topstitch the inseam, and you can adjust the legs as needed to get the fit you want. 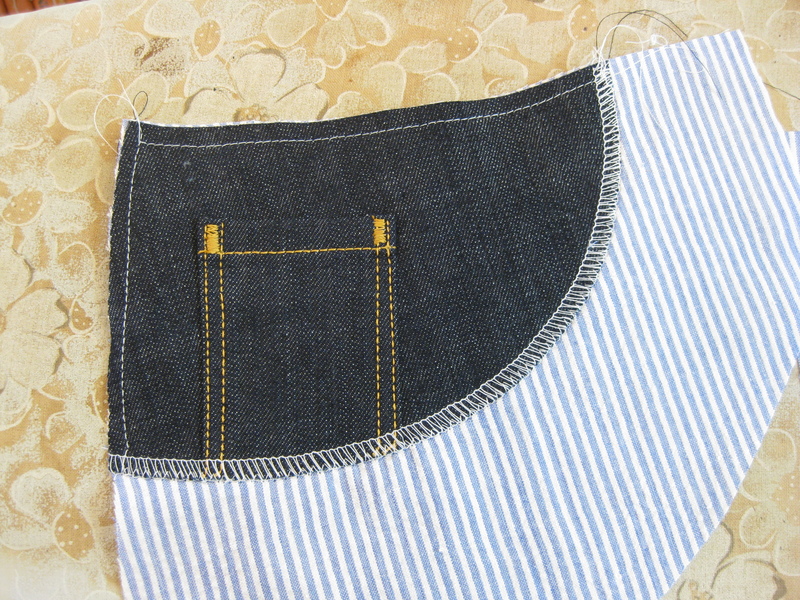 my denim is a little heavy and bulky so i needed my seam allowances to be controlled as much as possible, hence all the topstitching. i was concerned that my topstitching would detract from the look, but you can barely see it because my fabric is so dark. fine by me! 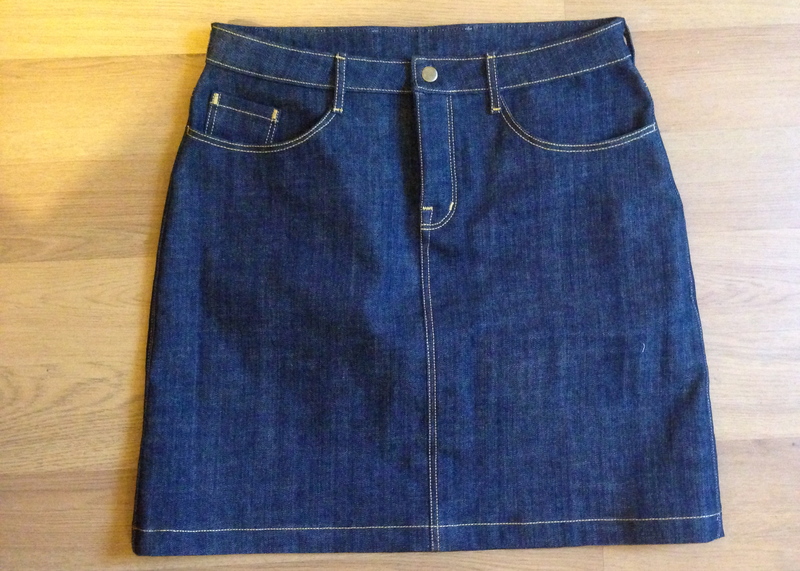 i decided to go with a single inset welt for the back pockets. i felt the double welts were a little oversized and perhaps a touch low. i made the single welt where the top of the double welt would be, if that makes any sense. i used poppykettle’s fab tutorial to make my pockets and they turned out perfect. 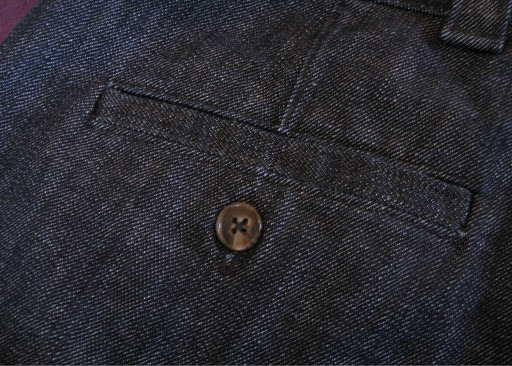 i also added a button hole just as extra insurance against unsightly back pocket gaping. as i mentioned in my last post, i adjusted the fly extension piece so that my waistband would line up correctly and everything would be in it’s proper place. i ended up trimming off the extra seam allowance in the back. as i said before, my denim is fairly heavy and it was just creating unnecessary bulk. i fit a straight size 4 so i think in the future i’ll just trim the excess out to begin with. nearly impossible to get in! 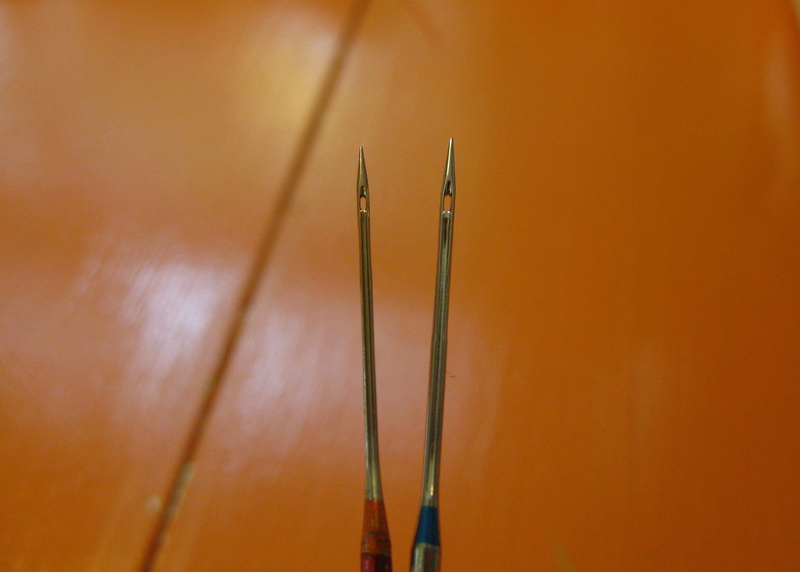 i added 1″ in length and they are just a touch long for wearing flats, but i figure they’ll shrink up as they get washed. i can always adjust the length later as needed. as i’ve said before, this is a GREAT pattern. other than tweaking maybe the front crotch depth, i really have a good fit. hopefully i can get around to making another pair (or two or three or ten) because i could really use more pants!